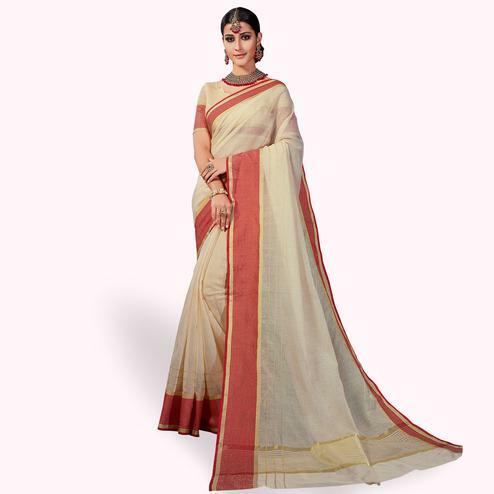 Get an ethnic look this festival season with this cream casual wear saree. 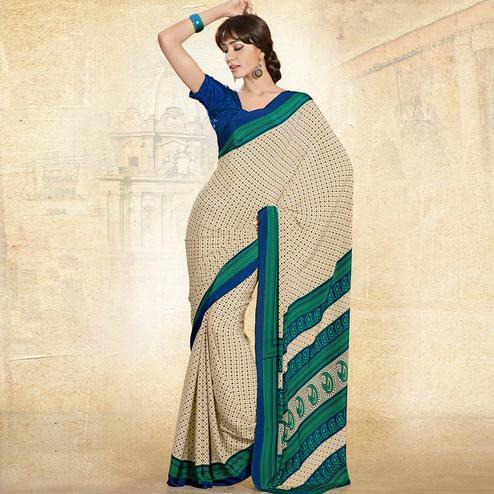 This saree is beautified with geometric & floral design print work, which makes this attire look more attractive. 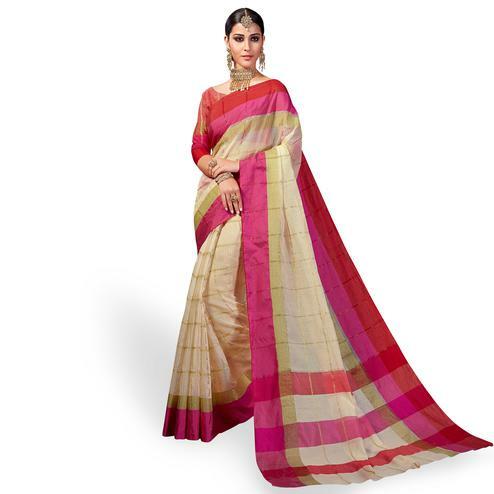 The border of the saree highlighted with multicolored prints as shown. 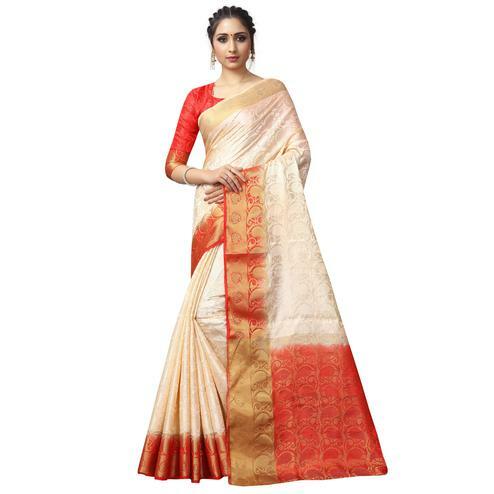 Paired with plain red blouse piece, which can be stitched as per your style.